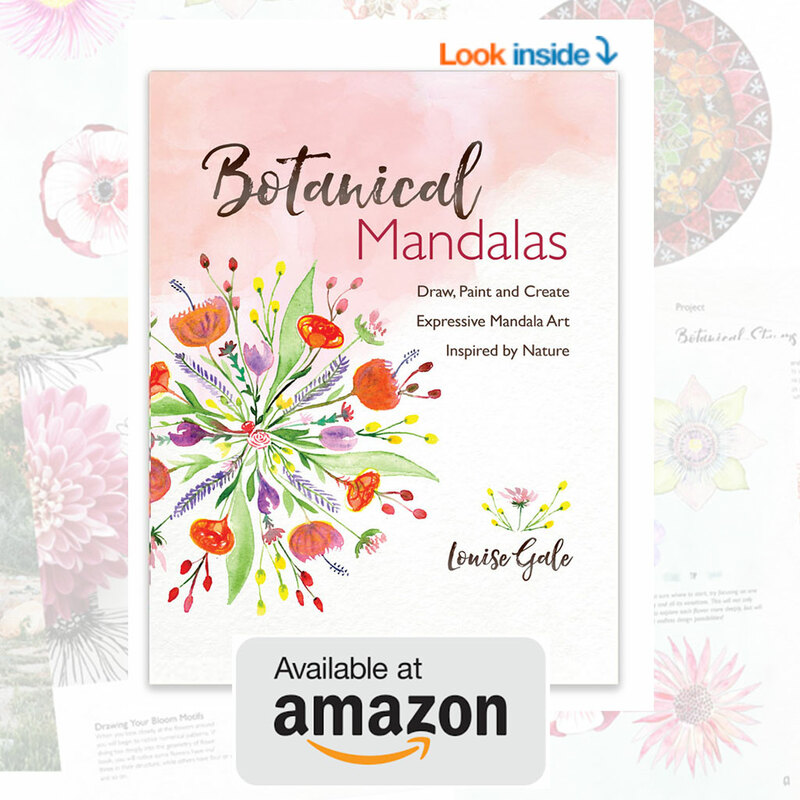 I am so excited to release a new mini class on creating a botanical mandala! 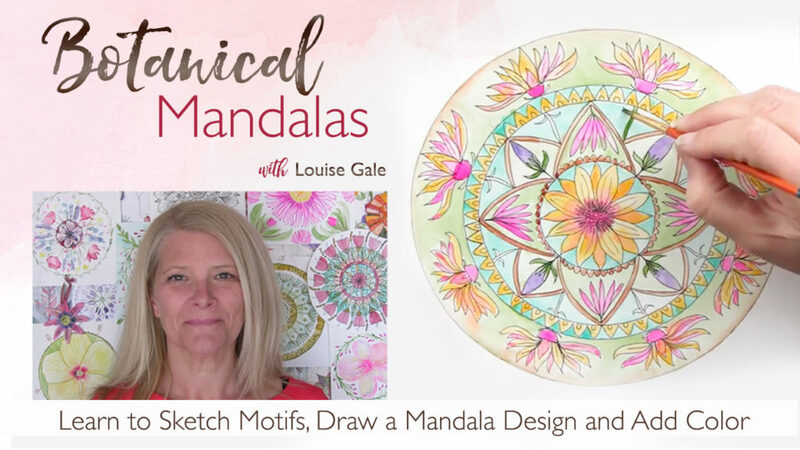 I wanted to create this ‘Getting Started’ class as a little taster if you are brand new to mandalas and also as inspiration if you are already a mandala artist and interested in incorporating natural elements in your work. There are two options to take this class which are listed below. I hope to see you there and am excited to see what you create! 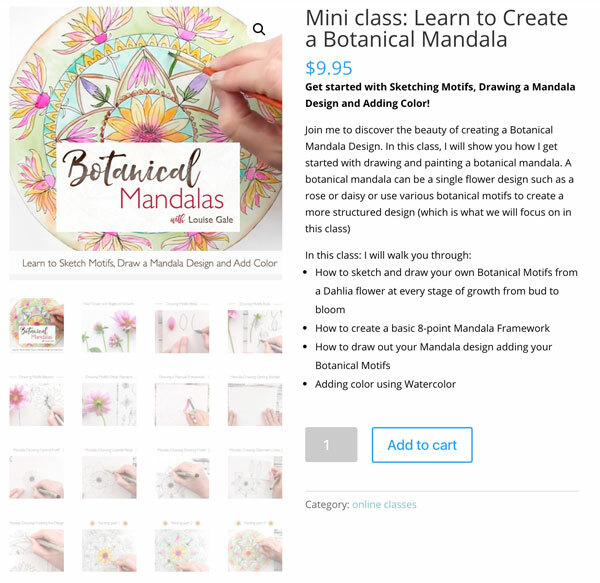 For those of you who do take the class and share your work, I will be showcasing your art on my new soon to be launched Botanical Mandalas website and social media sites to inspire others! 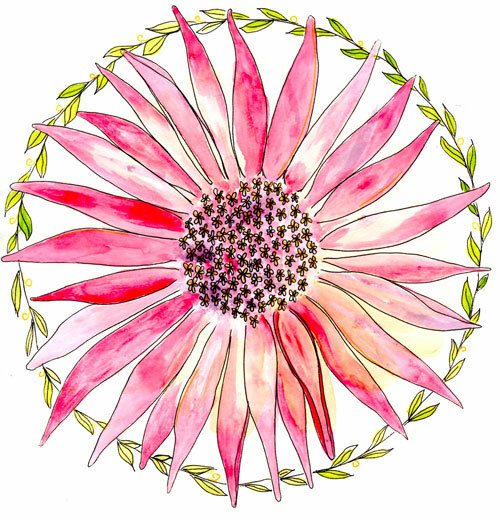 Discover the beauty of creating a Botanical Mandala Design. 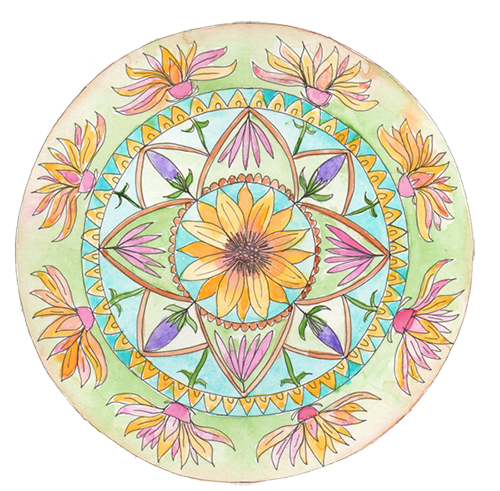 In this class, I will show you how I get started with drawing and painting a botanical mandala. This is just one of the ways I get started with drawing and painting a botanical mandala, so I hope it will inspire you to create your own designs! Here is a short video intro to the class. 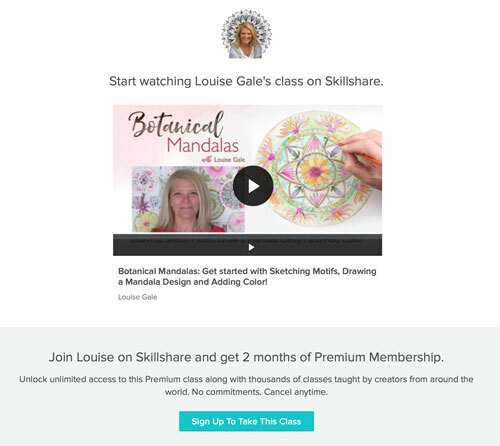 Would you like to join me and create your own gorgeous mandala artwork? Below are the two options for taking this class. I just launched my own Teacher Profile on the Skillshare class platform. As a Skillshare teacher, I can give you access to my class (and their whole premium class catalogue) FREE for TWO MONTHS! If you do not wish to sign up for the free trial on Skillshare, I am also offering the class on my own site for only $9.95. 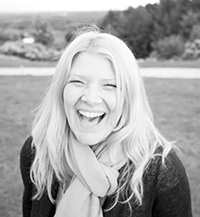 *Please note: the class on louisegale.com will go live tomorrow, Sunday 8th April at 10am EDT (3pm UK time) so once you register, you will receive an automated confirmation link and then Louise will email you the access information when the class goes live.